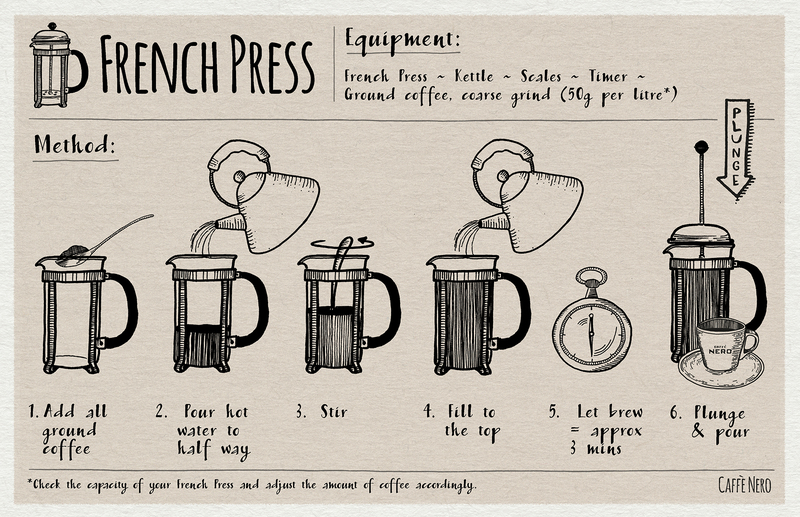 The distinctive French press (or cafetière) is a dependable coffee brewer. The straightforward process of steeping coffee grounds in hot water for around three to four minutes, then straining with a metal filter means that the variables can be somewhat relaxed (although pre-heated glass, fresh beans, filtered water, and the right grind consistency make a big difference). In fact, many home brewers swear by using only one scoop of coffee for each cup, making a strong case for the supreme simplicity of brewing good coffee at home.